I savored my first authentic French chocolate truffle in 1984, in Robertsau, France, a tiny Alsatian village outside of Strasbourg. Velvety, bold, silken, earthy. It was the beginning of a beautiful and delicious relationship. Once home, I searched for the French chocolate truffle…a luscious combination of chocolate and cream ganache dusted with cocoa powder. Locating this delicacy proved to be more challenging than I had expected. I wanted ganache—not cream centers, fruit creams, eggs, butter, flavored oils, soy, or corn syrup. My search proved futile, thus I decided to pursue the elusive French truffle at home in my own kitchen. At the time, I was a vegan, and experimented with various dairy-free products. After numerous trial batches and taste tests, I decided to combine organic coconut milk with dark chocolate. Once I perfected the original truffle—vegan and dairy—I then experimented with infusions of herbs, fruits, liqueurs. I continued researching the myriad aspects of chocolate from bean to bar. I learned about different types of beans—including heirloom and organic—and the various cacao contents of finished bars. Soon I was plying family and friends with sundry flavors of scrumptious chocolate truffles. Today, I provide truffles for birthday parties, graduations, holidays, weddings, bat/bar mitzvahs, and other events. Sometimes to say, “Thank You,” or for no reason at all, except a velvety chocolate truffle tastes delicious every day! After 15 years crafting homemade truffles, I prepare each batch with skill and care. I invite you to share my passion for chocolate. Only nature’s truffle is more natural than chocolate from Bark & Truffle. 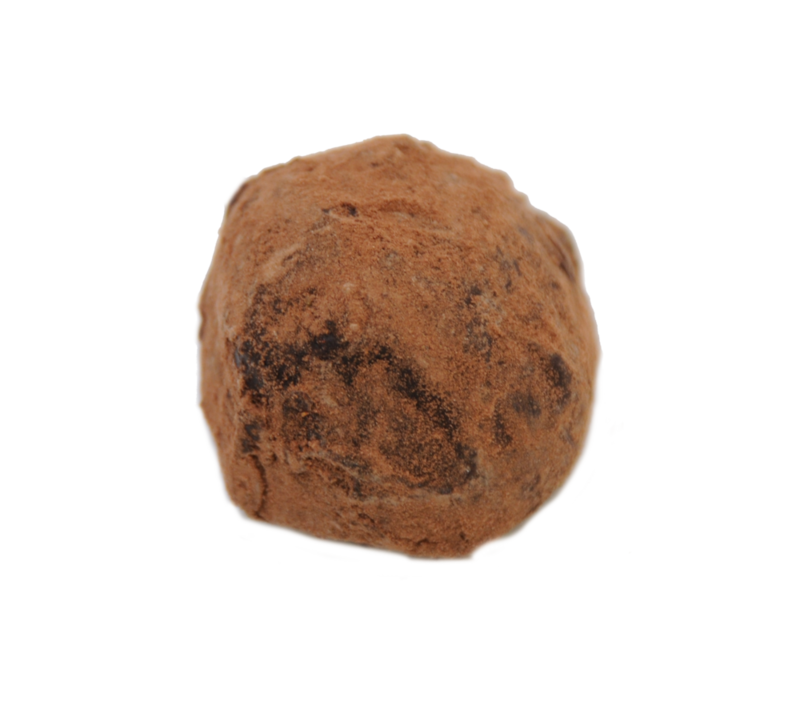 The chocolate truffle resulted from a happy accident in Auguste Escoffier’s kitchen in 1920s France, when his apprentice mistakenly mixed cream with chocolate instead of egg. Happy days, indeed, and thus the chocolate truffle was ushered into the world for our future enjoyment.